Model of Obaysch, by Joseph Gawen. Figure constructed of Nile mud, on carved wooden base, with gilded plaque on side, c1855. This month's artefact is a model of Obaysch, the famous hippo that arrived at London Zoo in May 1850. In 1849 H.M. Abbas Pasha, Viceroy of Egypt, presented to H.M. Queen Victoria a young hippopotamus named Obaysch - the first hippopotamus to be seen in Great Britain and, so it is believed, the first hippopotamus to be imported alive into Europe since the Imperial Exhibitions in the Arenas of Ancient Rome. The history of Obaysch's capture is recorded by Samuel Shepheard, the founder of Shepheard's Hotel, Cairo, who wrote on November 14th, 1849:- "In the spring of the year, Inshallah!, your London visitors will be gratified with a sight of one of our river monsters - the Hippopotamus. Our consul here, the Honble Mr Murray, having expressed a wish to have one sent to England, where such a thing had never yet been seen, His Highness ordered off a Captain with a troop of twenty men to proceed up the interior of Africa to follow the course of the white river and not to return without one. After having been five months away they have returned and brought a very fine specimen 5 or 6 months old. He is yet a suckling and drinks 80 pints of milk at a meal and, unwieldy as he is, plays about with the keeper like a great fat pet pig with a square head. The Pasha has presented him to Mr Murray." The young hippopotamus was transported to London and in 1850 the Hippo House in the London Zoo was built to accommodate Obaysch, which lived there until its death in 1878. This model, commissioned by Samuel Shepheard, was bequeathed to the Zoological Society of London in 1946 by his grandson, the Reverend G.S. Bird, FZS. 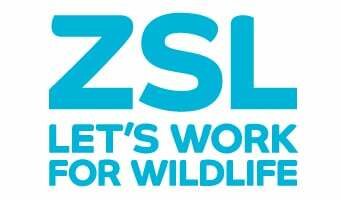 If you are a member of ZSL, please bring your ZSL membership card when visiting the Library. If you are not a member you will need to show proof of address and photographic ID - this is essential.